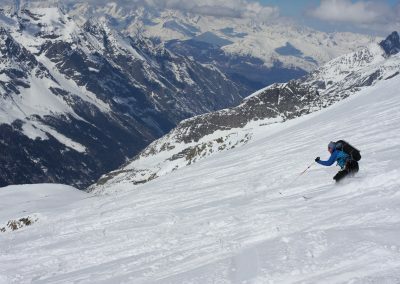 The Grand Paradiso is a great ski mountaineering peak, and we've done it both as a stand alone two days, as well as part of a longer hut to hut tour. 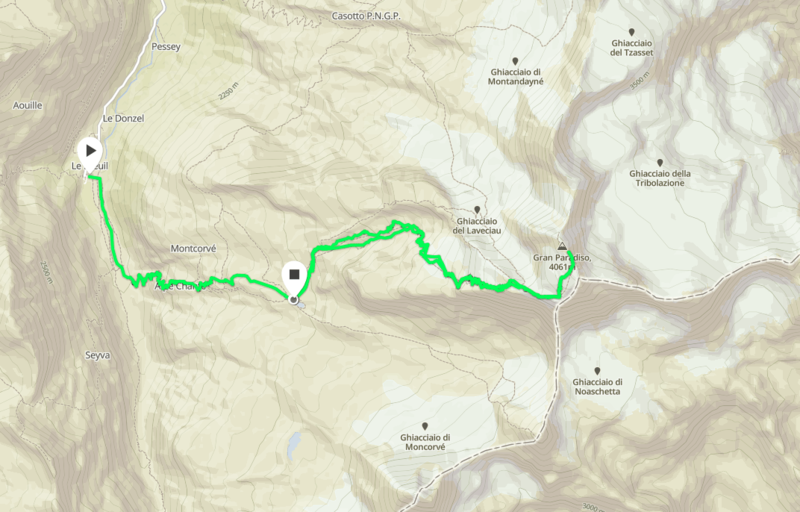 This speed tour by passes the hut night, and goes right from the valley. 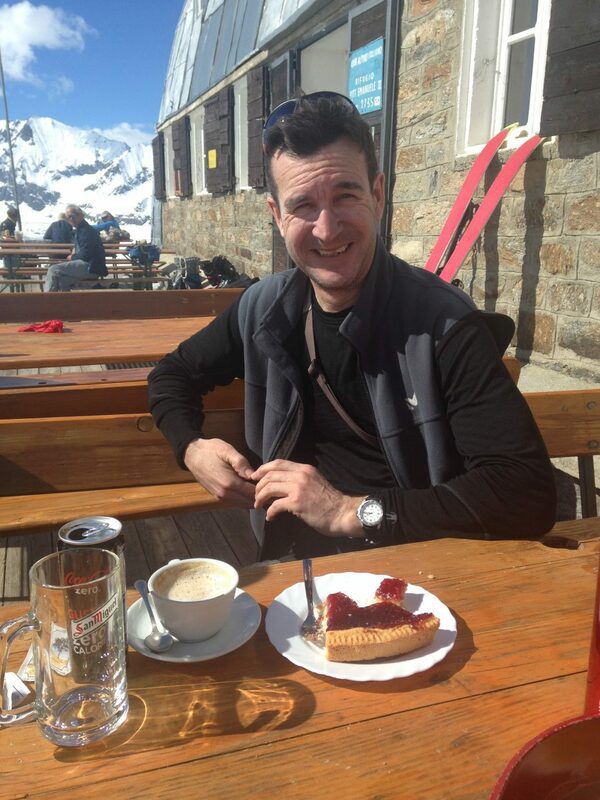 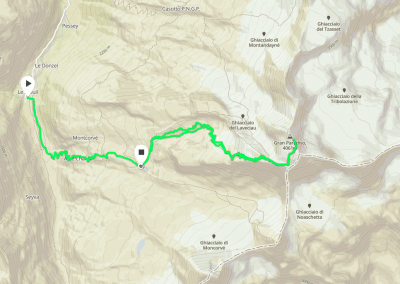 We do stop in at the hut for a quick coffee, but basically, it's a long old climb all the way to the summit. 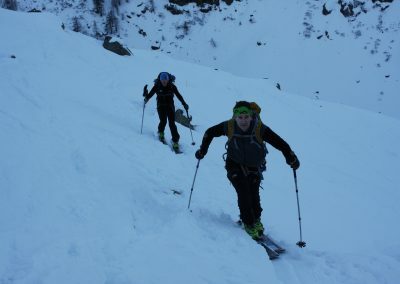 The ascent involves over 2000m of skinning, before the final boot pack and rocky scramble. 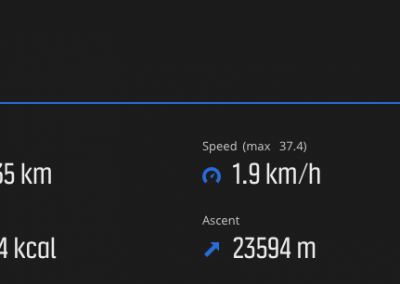 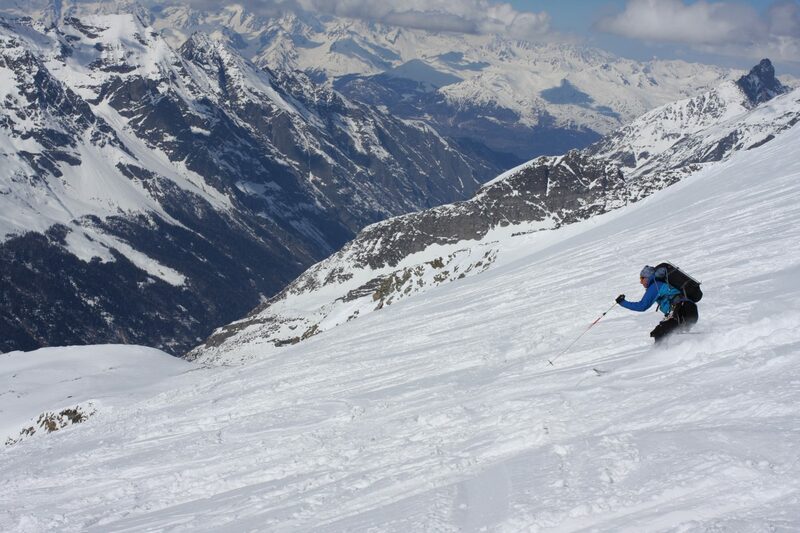 As with all ski ascents of big peaks, the snow can be variable so you need to be able to ski this variable snow on legs that have just done a lot of uphill work! 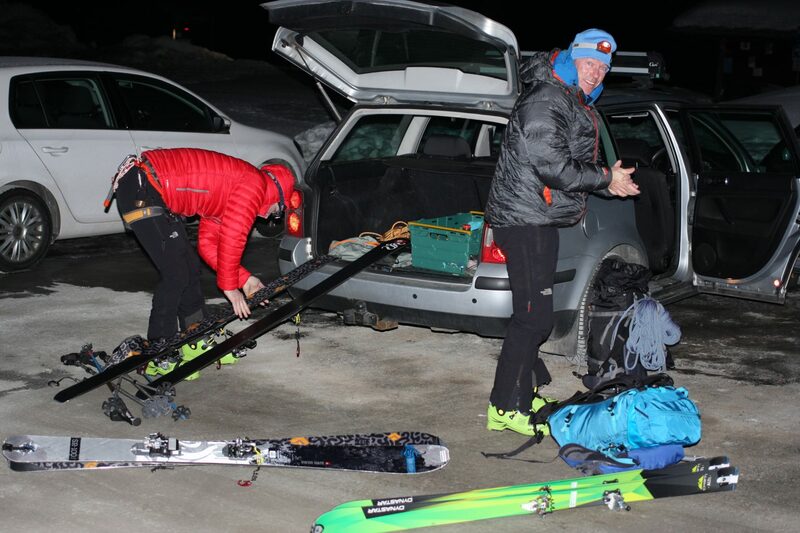 Lightweight gear, good skiing ability and a very high level of fitness are required. 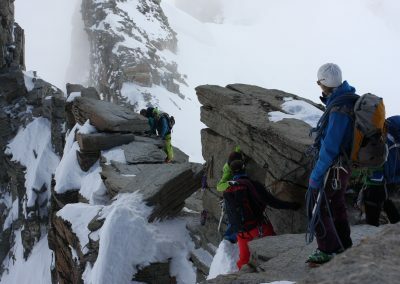 A two-day booking is normal, giving us a shake down day in Chamonix (often around the Aiguille du Midi for acclimatization) before the Grand Paradiso the next day. 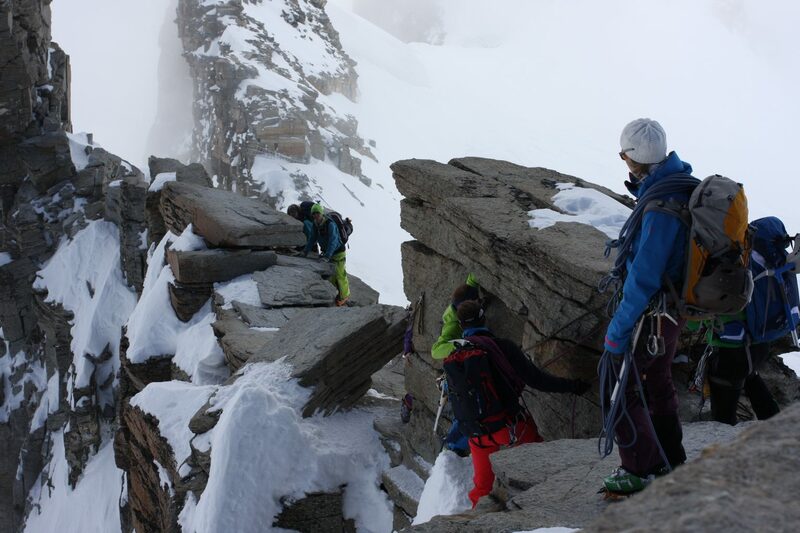 Advanced – good rock climbing and alpine ice experience required. 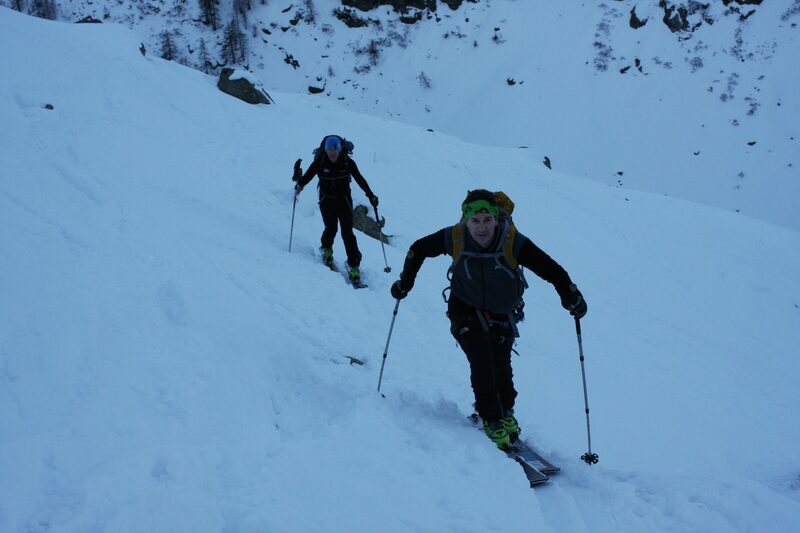 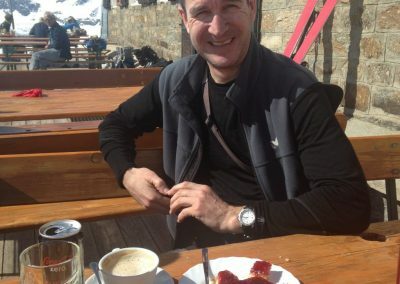 This is also good training for longer speed tours, such as our Express Haute route trip.